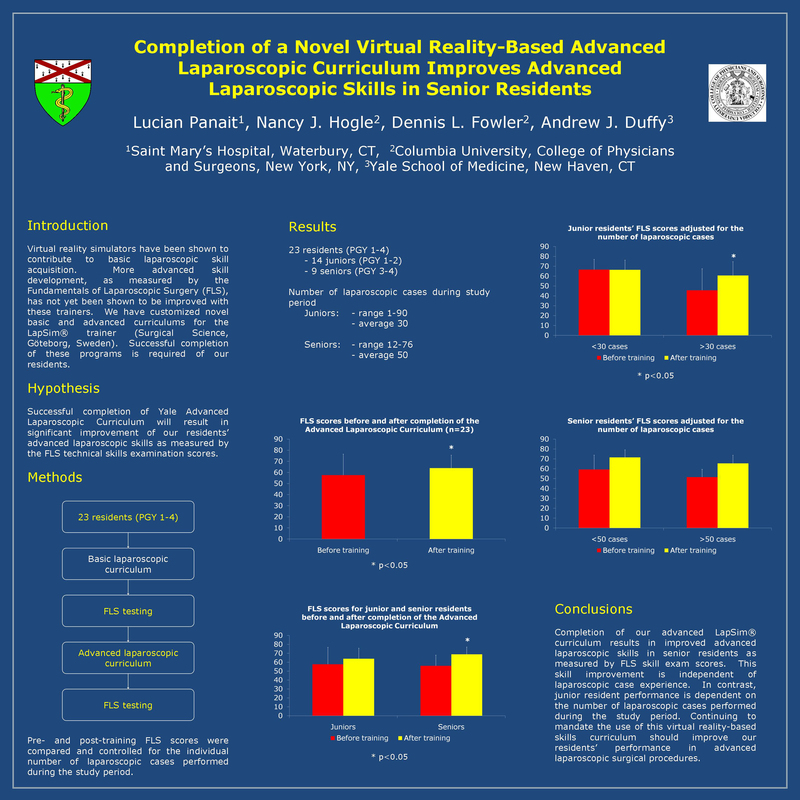 Introduction: Virtual reality simulators have been shown to contribute to basic laparoscopic skill acquisition. More advanced skill development, as measured by the Fundamentals of Laparoscopic Surgery (FLS), has not yet been shown to be improved with these trainers. We have customized novel basic and advanced curriculums for the LapSim® trainer (Surgical Science, Göteborg, Sweden). Successful completion of these programs is required of our residents. We hypothesize that successful completion of our advanced curriculum will result in significant improvement of our residents’ advanced laparoscopic skills as measured by the FLS skills scores. Methods: Twenty-three surgical residents (PGY1-4), who had already passed our basic skills curriculum, completed our advanced LapSim® curriculum. All underwent FLS skills testing before and after completing the training. Laparoscopic case experience during the training period was documented for all trainees. FLS scores were analyzed by t-test and controlled for case experience.